Earlier this month, Facebook announced that video chat would soon be added to Messenger Lite. Video chat's been a staple of the standard version of Messenger for a long time, but given that Messenger Lite is supposed to be lighter and have less clutter, its addition is also a bit confusing. With the app's latest update, though, it's here whether you like it or not. 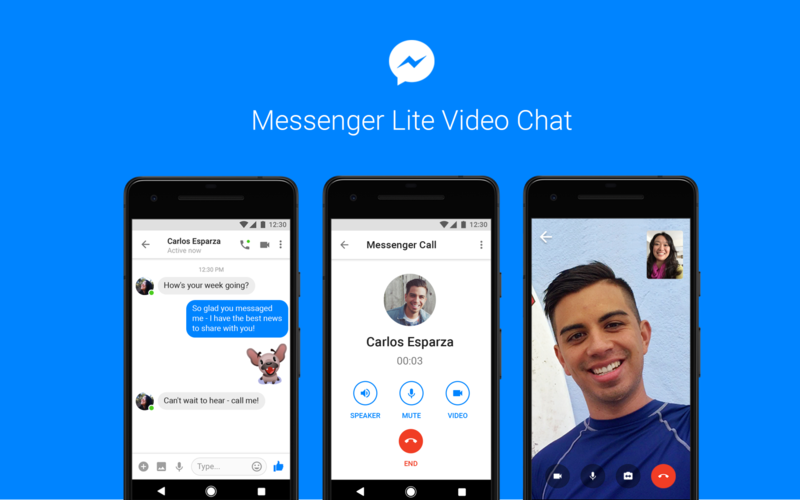 It's unclear whether Messenger Lite's video chat will use less data than Messenger's or other services'. But if you're a Messenger Lite user and this is something you've been missing from the standard app, it's here now. The update is live in the Play Store, and we've got this latest Messenger Lite APK ready for download on APK Mirror.